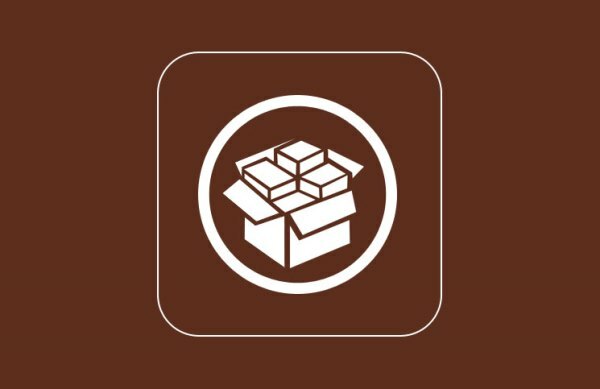 As an alternative of iPhone app store, the cydia has become one of the most popular sources for downloading applications. After attempting jail break, you can perform various restricted functions that were not possible before. 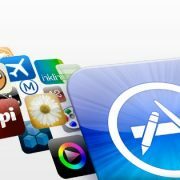 For the fully utilization of your jail braked IPhone, it is recommended that download some amazing applications. 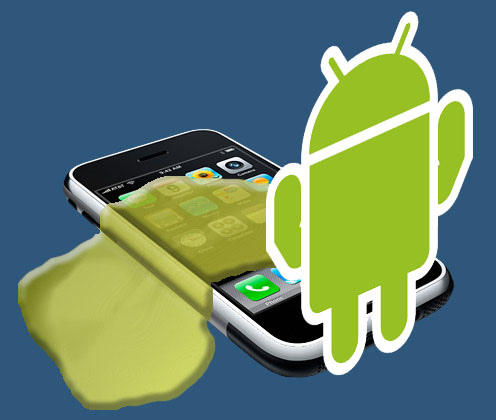 These apps are very useful and can perform functions that are not possible in a fully secure iPhone. 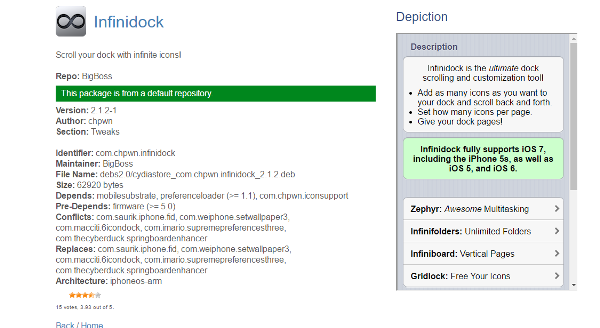 While exploring cydia, you will see lots of applications that were impossible to run in a non-jail broken iPhone. 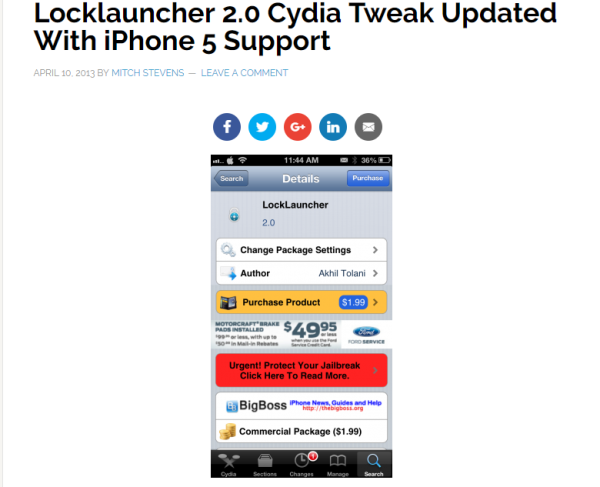 This article has some best cydia tweaks that you can download for various purposes. Jailbreaking breaks down all the restrictions of your iOS device and makes it more powerful by pushing up it’s limitations. We have listed down best Cydia tweaks that enhance the functionality of your iOS device and make it do almost everything that you ever thought possible. you will find some best cydia tweaks after exploring deeply. IntelliscreenX brings all your important data to your lock screen and make it to look like a perfect iOS screen. It adds a lot of features including calendar, Text Messages, Facebook, Twitter, Email, Weather, and much more to your iphone’s home screen. It is totally free to try. LockInfo is another great tweak that enhances your device’s lock screen by adding notification panel to it and comes up with many stock plugins including calendar, Text Messages, E-mails and more. Through Activator, you can easily access LockInfo from the first Springboard page. 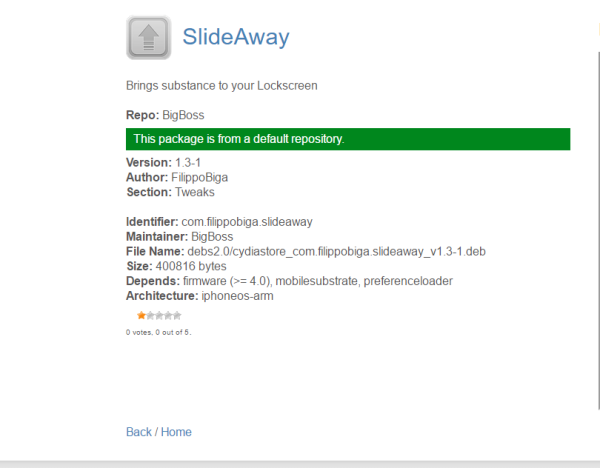 SlideAway is an awesome Cydia created developed by Filippo Bigarella. Apart from notification panel that displays your E-mails and missed calls, it has configurable left and right assignable shortcut buttons. It’s swipe (or slide) gestures allows you to access your mostly used apps without unlocking your device’s screen. It’s another noteworthy feature is that it is completely theme-able and if you are a designer then you have full freedom to make a theme that fits SlideAway perfectly. 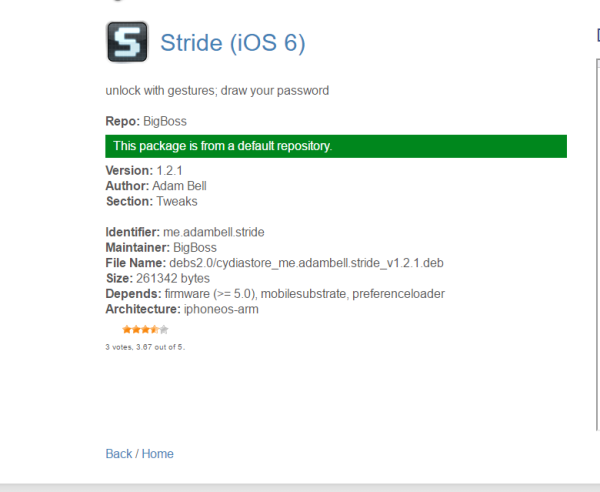 Stride doesn’t follow the old type-your-password or that boring make-your-pattern scenarios to unlock your iOS device. Stride is really cool tweak that makes unlocking your device so simple like never before. You just need to draw your password. 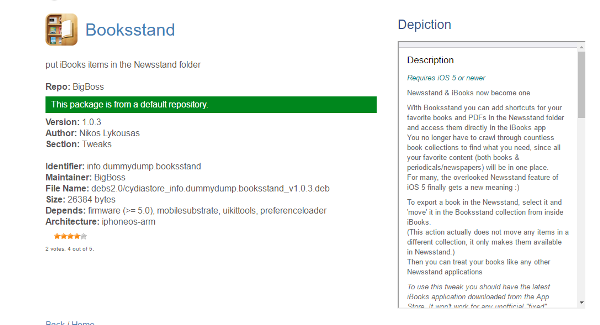 And, it’s new version comes up with many new features such as iCaughtU support, iPhone 5 and iOS 6 support, CleverPin support and much more. With AnyLockApp, you can open any of your favorite app from your device’s home screen. This app is great for those, who don’t use their default camera app. 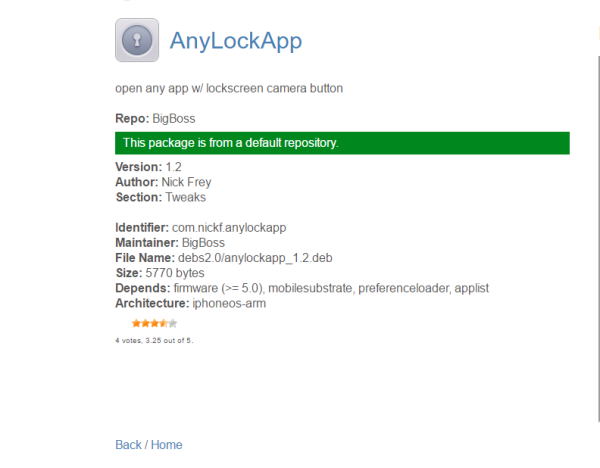 AnyLockApp lets you to change the lockscreen camera shortcut to any other app you want to see on your lock screen. It is always good to have some unique and different ways to unlock your device. This Cydia tweak adds a cool sliding door animation whenever you unlock your iOS device. It is true that it provides only one function and is doesn’t offers any options to configure but we quite like this tweak because whatever it does, it does it gently and flawlessly. LockLauncher 2.0 let’s you to launch multiple apps at once all from your Lock Screen. So, put shortcuts of the most frequently used apps and have a quick access by opening them without unlocking your device. If you don’t like LiveWire then give try to Move2Unlock. 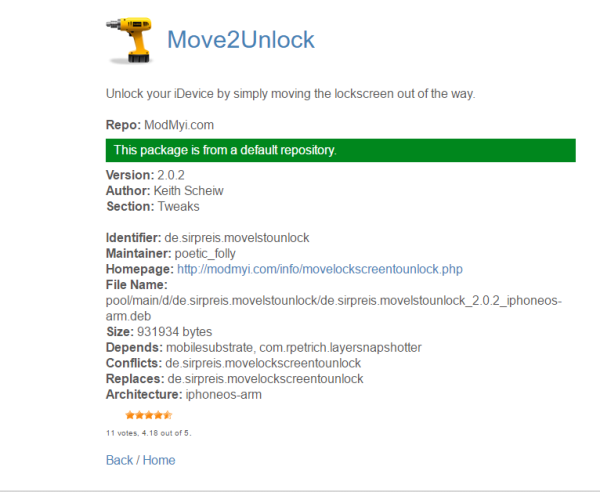 With Move2Unlock, you don’t need to use that old style slider anymore to unlock your device. Create your own style by customizing the options available like hiding slider, many different unlock types and animations and much more. And, yes everything is available at an awesome price of free. 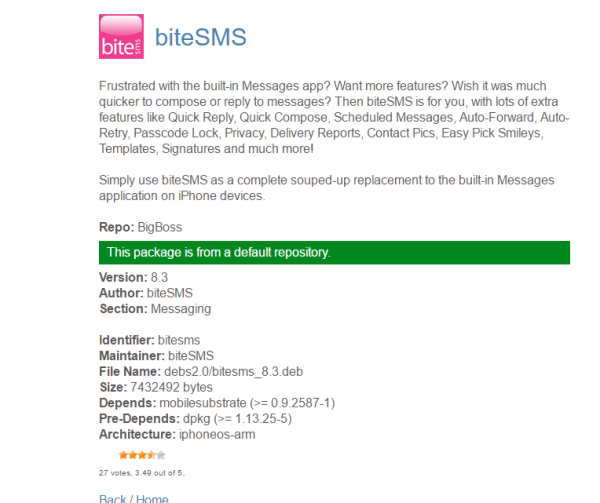 BiteSMS is one of the great app that makes worth jailbreaking your iPhone for. It boosts up your messaging like anything. Words are really not enough to describe how good this app is. It provides you freedom of replying to the incoming texts from anywhere in iOS, you can also mark your messages to read them later, put a apassword and much more. It is completely a worthy replacement for your iOS messaging app. The best thing about GO SMS is it’s cool UI which is very well designed and provides you beautiful themes. 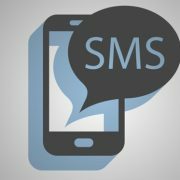 Quick reply notification popups, excellent privacy and protection, complete SMS/MMS/iMessage support, easy Emoji input etc. are it’s some of it’s highlighted features. 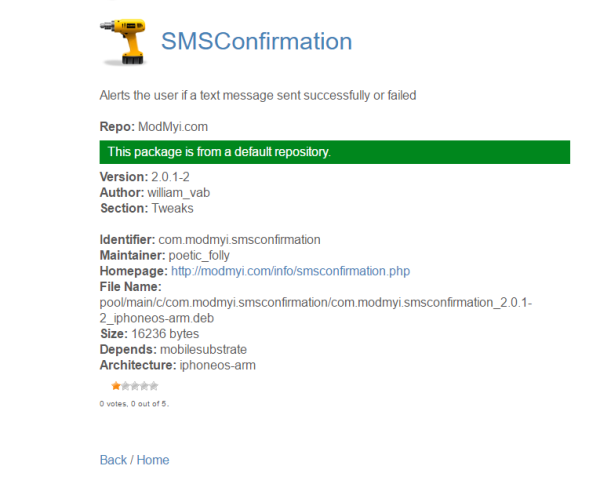 SMSConfirmation is a neat and clean app that provides a simple but quite useful feature, it sends you a confirmation message (or delivery report) for the message you send. ManualCoreect Pro helps you to get rid of auto corrections while typing. It corrects a word only when you manually select the correction option. 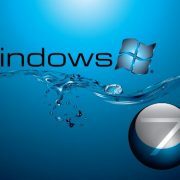 It also offers you custom correction settings, easy SBSettings toggles and Punctuation corrections. You can also download it’s free version ManualCorrect (unlike it’s pro version, it doesn’t provide any additional settings). 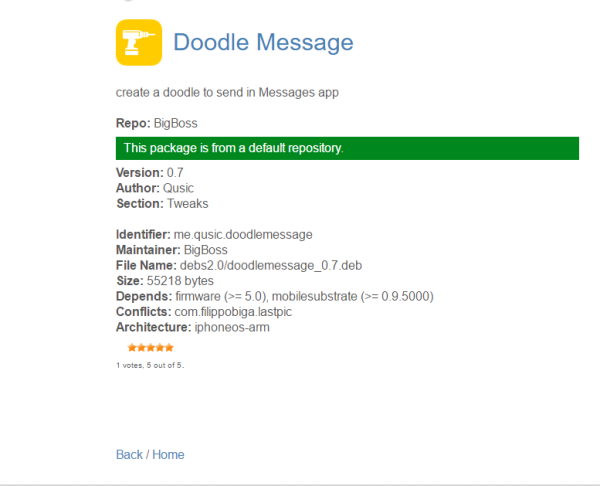 Draw your own message and send it to your buddies with this cool tweak. You can do all these all within your message app. Isn’t amazing? 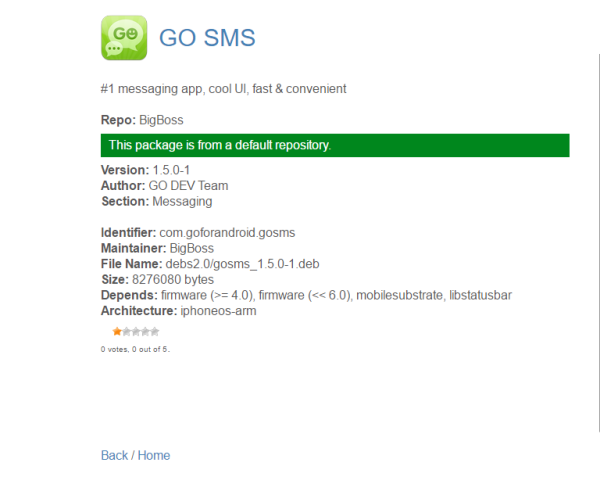 It supports Messages, Whatsapp, Facebook and biteSMS. So, bring back your old school memories by drawing a masterpiece on your amazing retina display. We all know selecting the text on the iOS is not so easy as it should be. 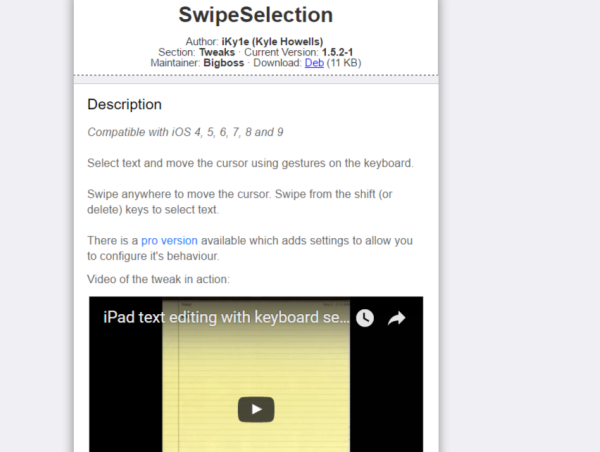 But with SwipeSelection it can be made a much easier. With just one finger gesture, you can move the cursor and select the text. 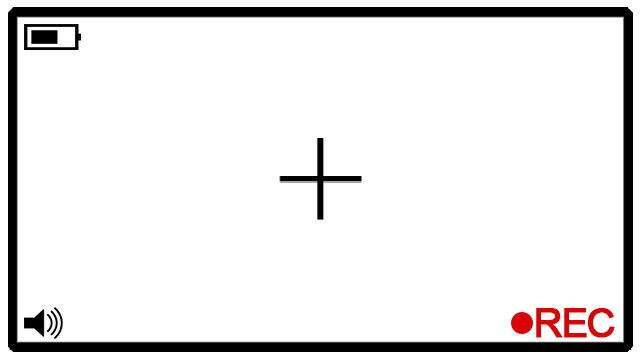 If you want to select a complete block of text then simply hold the shift key and slide the cursor. Speed up your typing by using this awesome Cydia tweak. 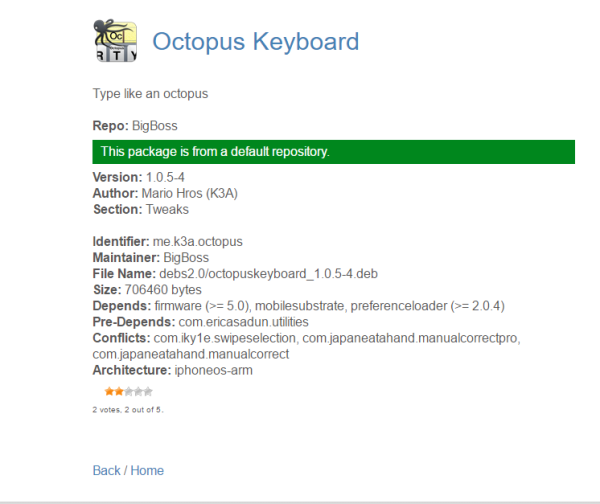 Octopus Keyboard predicts what you are going to type and gives you suggestions accordingly above the individual keys. To use the suggestion, just swipe up on a key. Octopus Keyboard supports almost all the languages and have built in dictionaries. 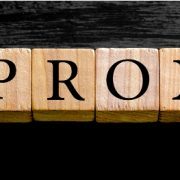 Next word prediction, disabling of iOS auto correction feature, proximity suggestions, etc. are some of it’s highlighted features. It is really worth trying out. 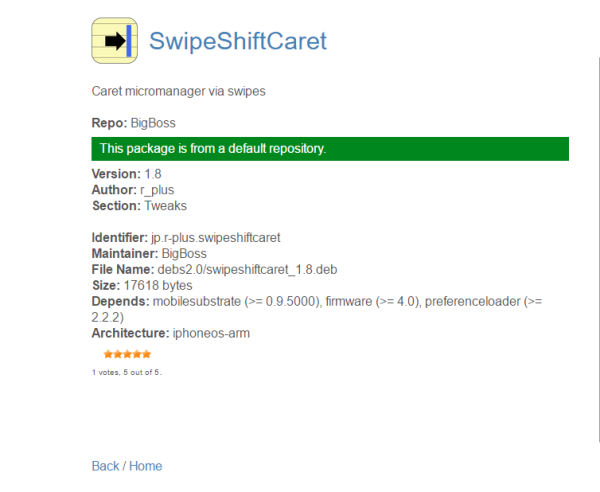 SwipeShiftCaret is a simple app that shifts the caret via swipe gesture while typing. Simply use swipe gesture to move around the text. Don’t have a there plan? Not an issue. With PdaNet, you can still add tethering to your device. 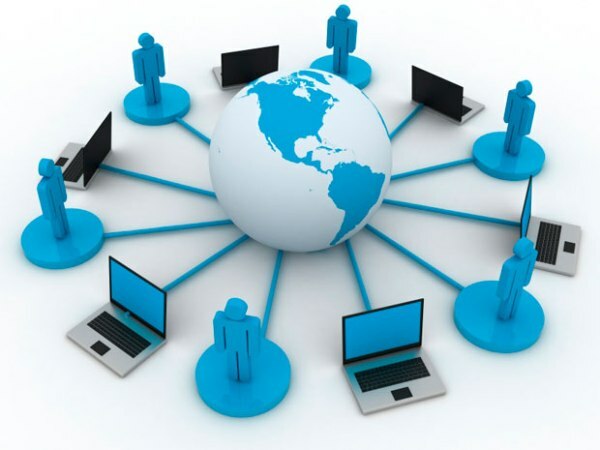 It helps you to use your iPhone as USB or Wi-Fi hotspot to share it’s internet access with your PC. 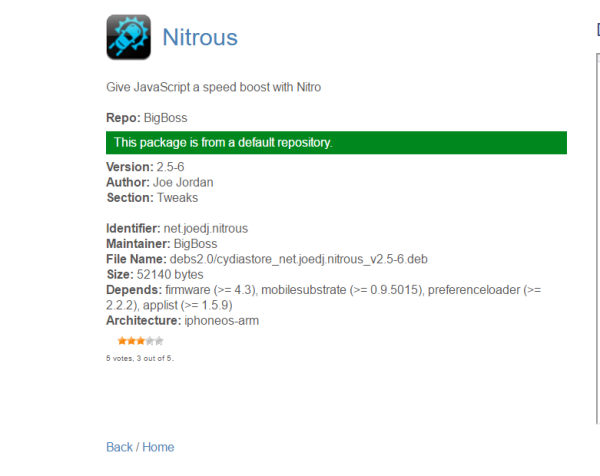 It’s free version but if you want to enjoy some more features then you can buy it’s license from it’s official site. 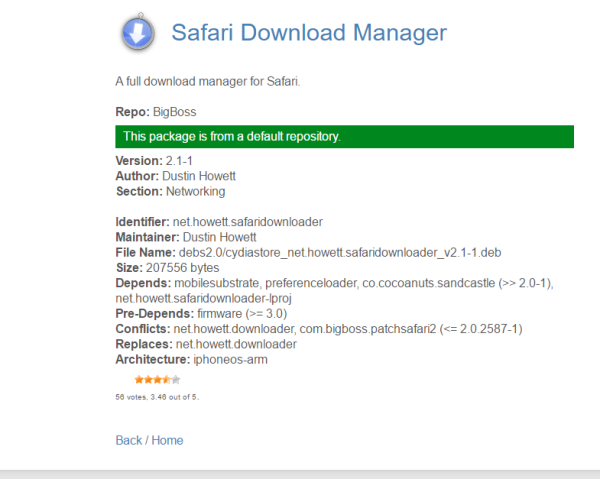 Highly customizable and flexible download manager that allows you to download your files directly from Safari. You can download multiple files at a time. MyWi is an extremely useful app and one of the best best tethering app that comes up with hefty price tag (that really worth the money). 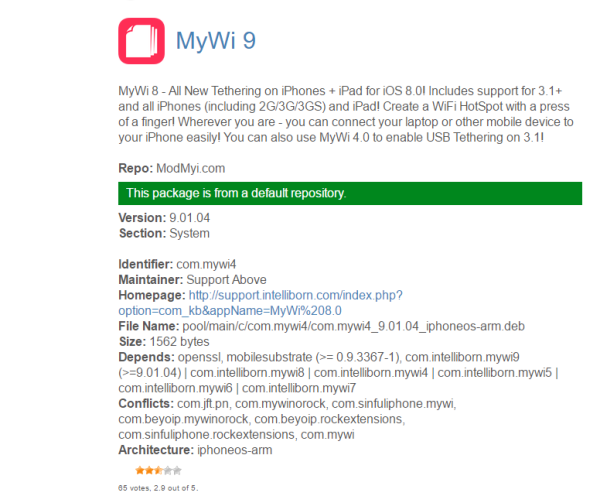 Connect your PC to your iPhone or iPad anytime and anywhere through MyWi 6. It offers you countless useful features such as creating hotspots with just a single tap, consumes less battery, connects multiple device to your iOS device, USB bridge mode and much more. One thing that Sparrow really lacks is the push notifications but Sparrow+ overcomes this problem by enabling the push notification for Sparrow and making it your default mail app. 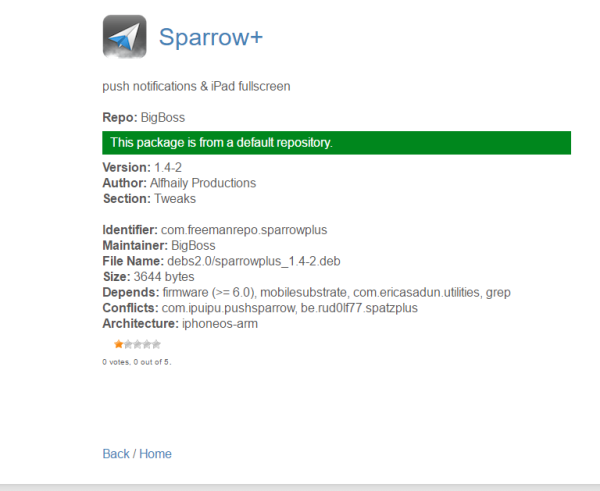 Note that, you need to have Sparrow purchased and iOS 6.0+ to run it. Not happy with your default web browser? 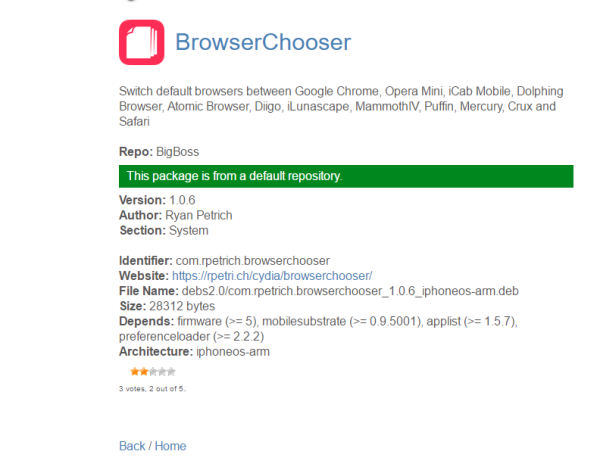 Choose the default web browser of your choice with BrowserChooser. Tab+ is a free Cydia tweak that let’s you to open more than 9 tabs on your iPad. 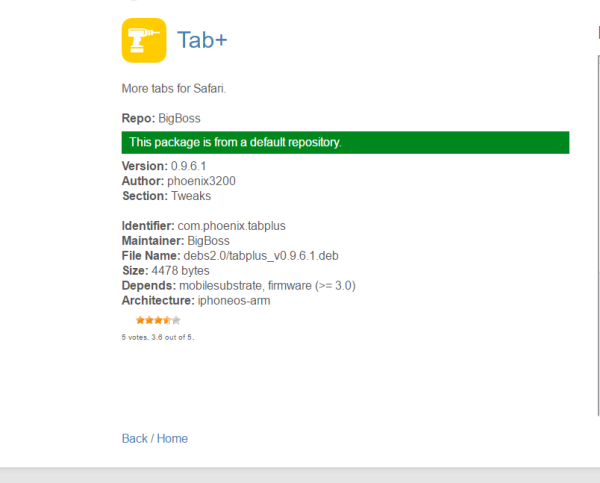 You can also use Tab+ on your iPhone and iPod to push the tab limits of your device. 3G Unrestrictor breaks down all the restrictions of not being able to use applications like FaceTime, iCloud’s photo stream and many other services on 3G or LTE. 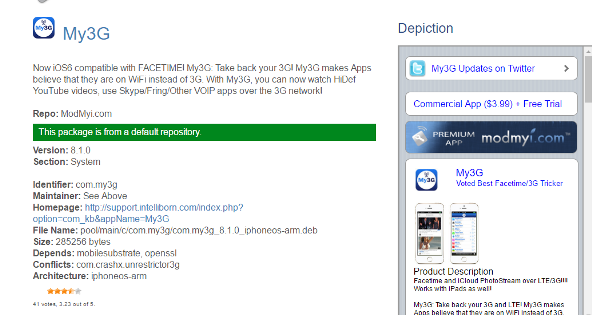 It’s new version, 3G Unrestrictor 5 offers so many excellent features that make difficult to us cover all of them. But, we would love to mention some of it’s key features like it allows you to download apps or any other files of size more than 50 MB, automatically backup to iCloud, play online games and much more, all on 3G/LTE/GPRS/EDGE. 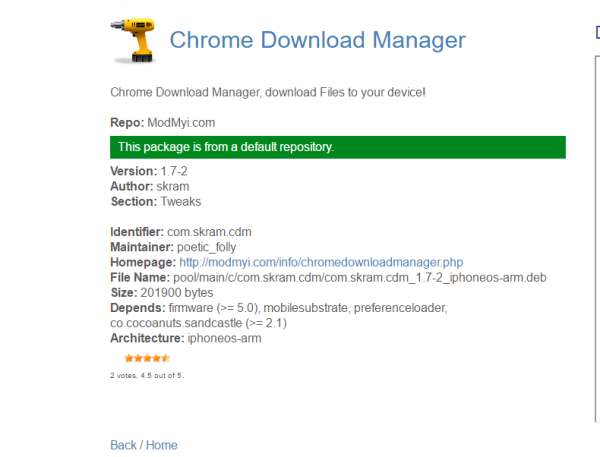 Like SDM, Chrome Download Manager allows you to download the files to your iOS device from Chrome web browser and view them on the apps that supports it. Like 3G Unrestrictor, My3G also allows you to use all those apps that can be only used over Wi-Fi like FaceTime, Skype etc. 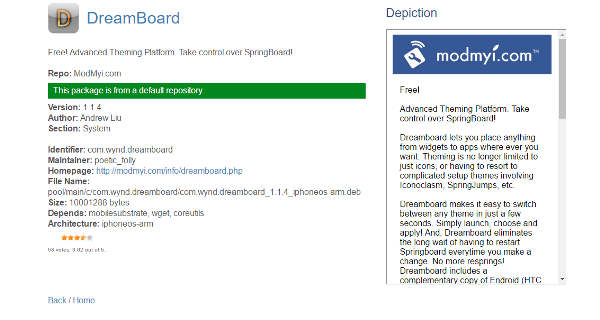 Change the traditional look of iOS completely with DreamBoard. DreamBoard will take you to the next level of customization and enhance the UI of your iOS device with it’s incredibly good features. A colossal collection of themes (and you can even switch between the themes in a few seconds), ability to move anything from widget to apps and a lot more features to offer. 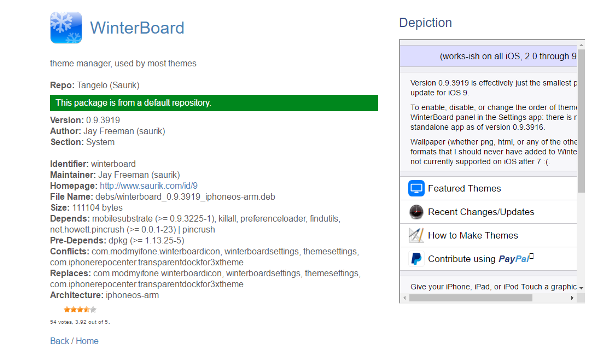 Same as like DreamBoard, WinterBoard offers you a huge collection of themes to choose from and even consumes very less memory of your iOS device. Customize the look of your device with this awesome tweak. 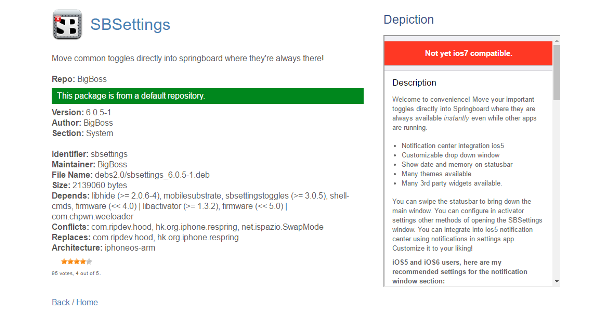 SBSettings is one of the rare app that most of the iOS users consider jailbreaking their iOS device. SBSettings place all your frequently used toggles to the Springboard for the quick access. 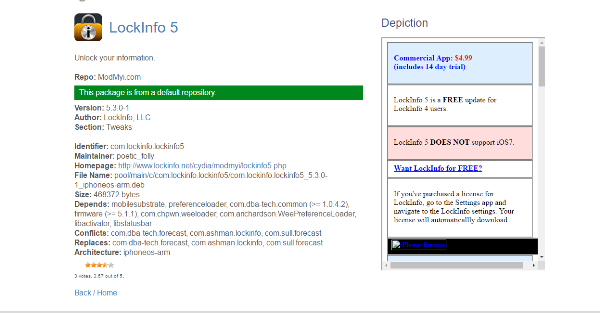 It also brings some important stuff like data usage, your IP address etc. 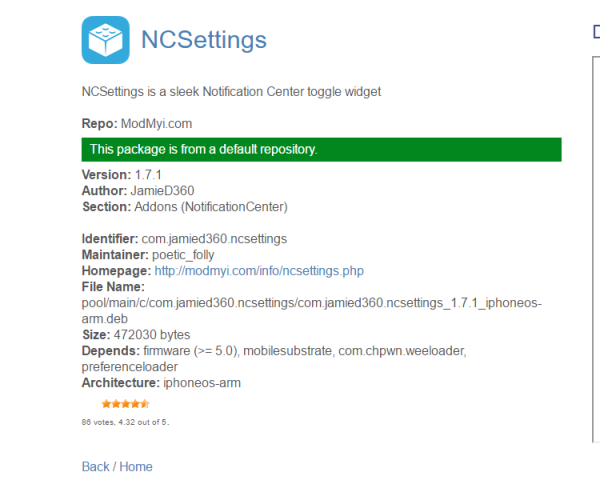 in notification center and also has many other popular features like customizable drop down window, large number of 3rd party widgets, and much more. Much like SBSettings but with better user interface and less memory consumption. 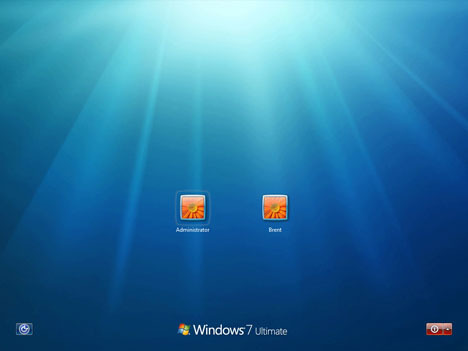 It provides quick access to the most frequently used settings by adding them in the notification center. 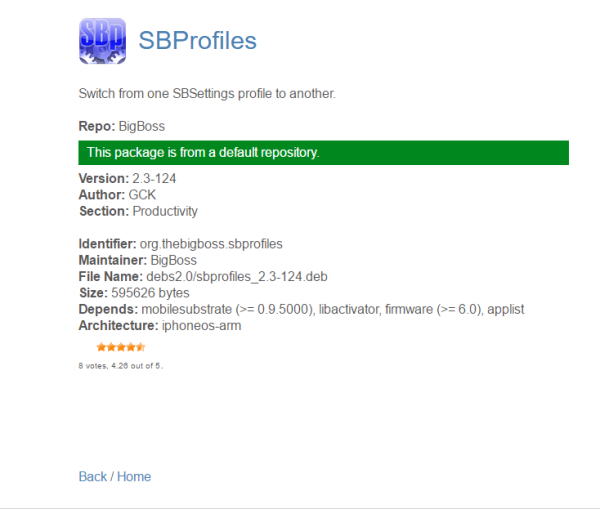 SBProfiles is an awesome Cydia tweak that make a combination of your SBSettings with the profiles that can be triggered that can be triggered at a scheduled time or via Quick Access menu from Lock screen or from any other app. Get your tasks done on a schedule or when the conditions becomes true. Activator is one the best Cydia app that provides the complete customization of buttons and gestures to make your device super cool. Activator not only makes your device to do almost everything but it is very essential for other tweaks that include custom gestures. Unlike other file managers available at Apple’s store, iFile is an advanced file manager and viewer that provides fast navigation through the iPhone file system, along with all the major file operations. 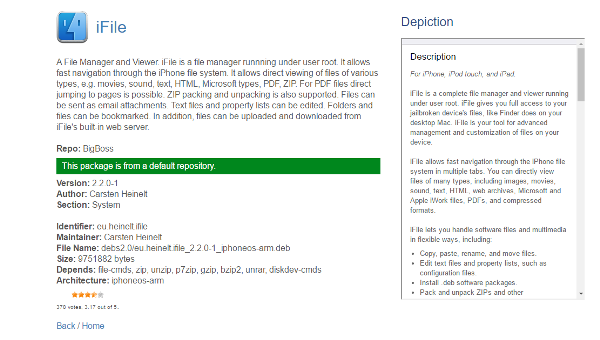 It also supports zip and unzipping of files, sends files as e-mail attachments, downloads/uploads files from iFile’s built-in web server and a lot more. 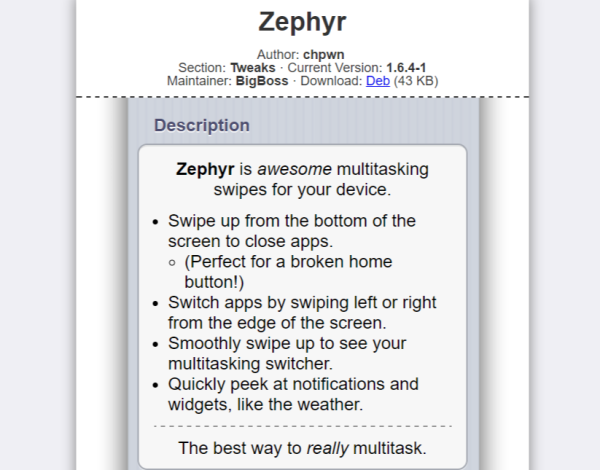 If you want to experience a buttery smooth multitask then Zephyr would be best pick for you. Switch or close apps, or even see multitasking switcher with the smooth multitasking gestures of Zephyr. One of the best iOS app switcher that replaces the standard icon view with unique app cards. It kills multiple apps at once with multiple finger gestures. It’s redesigned playback page gives the complete information about the currently playing song and improves the audio controls and it’s toggle page gives you a row of system shortcuts. It is definitely a must-have app. 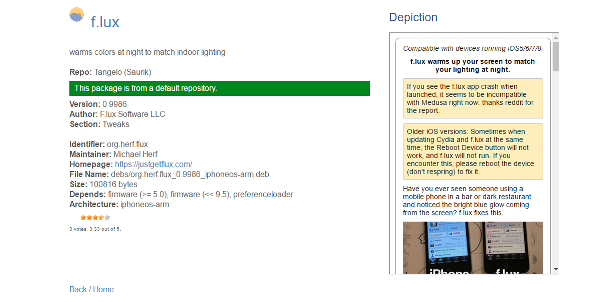 Prevent eyestrain by adjusting the light on your iOS device with F.lux. Choose the lighting type that suits your eye better. F.lux makes your iPhone like a book under your room lighting. You need to enter your password every time whenever you download any app from Apple’s store. It not only eats up your time but also very annoying. 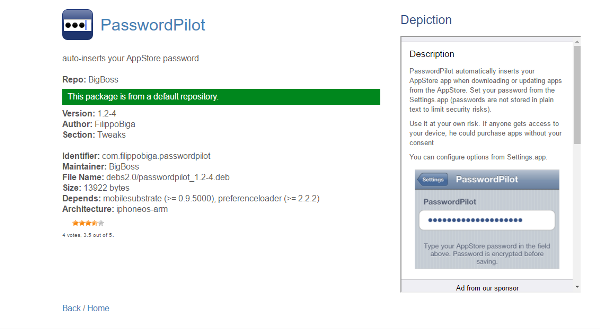 PasswordPilot helps you out by signing in you automatically. But, be careful if somebody else access your device. In that case, we will recommend you to use the paid version of the app – PasswordPilotPro (that provides more security). Access your favorite books and PDF’s directly into iBooks app by simply adding the shortcuts of them in the Newsstand folder. Save your time by moving multiple SpringBoard icons at one time without the need of dragging and dropping every single icon. 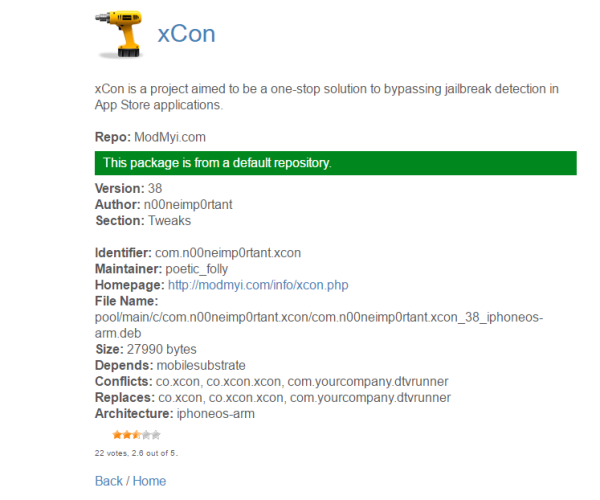 Bypass the jailbreaking detection in Apple’s applications. 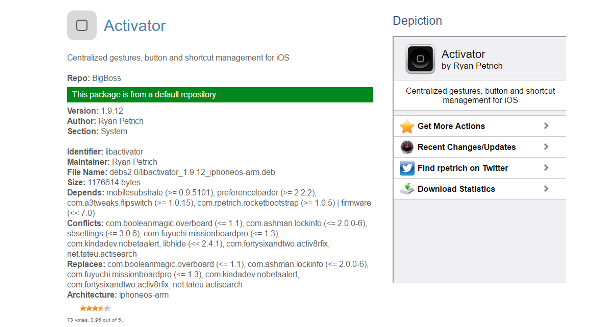 Now, you can even all those apps that detects jailbroken devices. Create your own jailbreak tweaks for any of your app with Flex. 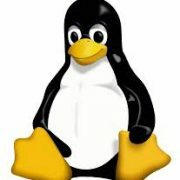 No matter you have good programming skills or not, you can still create a one. 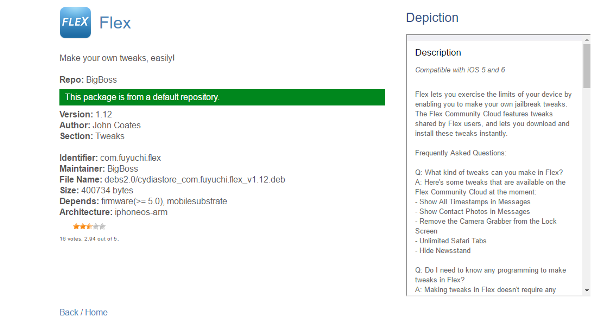 You can also download those tweaks that are shared by flex users via Flex Community Cloud. 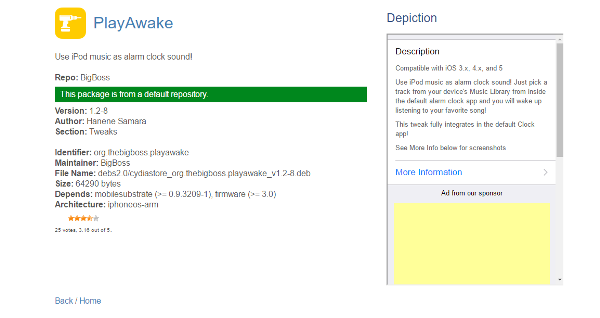 Make your favorite tune as your alarm clock sound by using your iPod music. 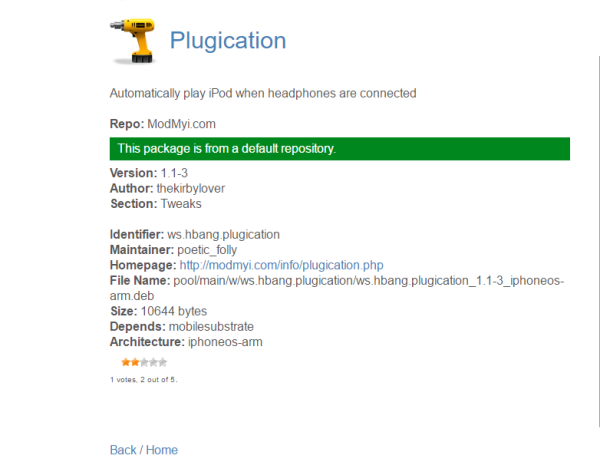 Plugication is a simple but very useful app. It resumes your music automatically when you connect your headphones. 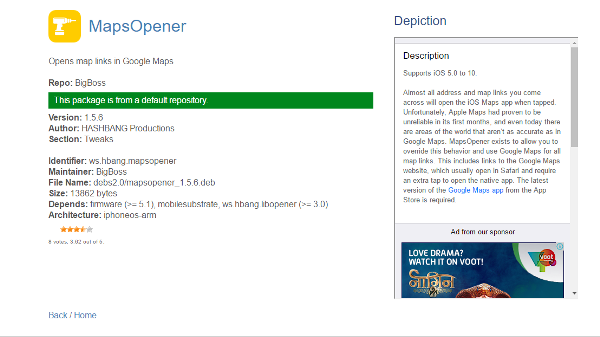 Change your default navigation app from built in iOS app to Google Maps with MapsOpener that opens all your map links in Google Maps. 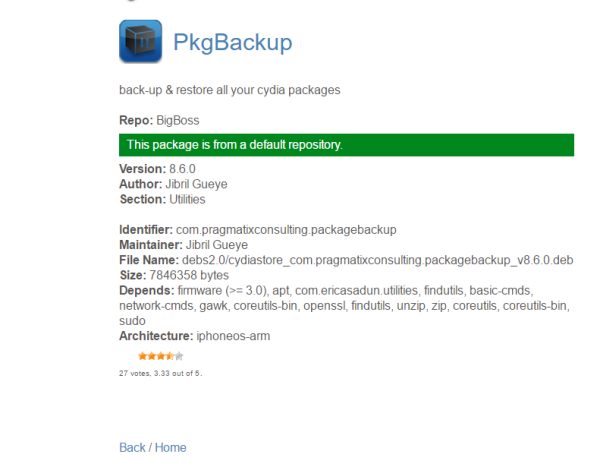 Backup and restore all your Cydia packages with this excellent tweak. 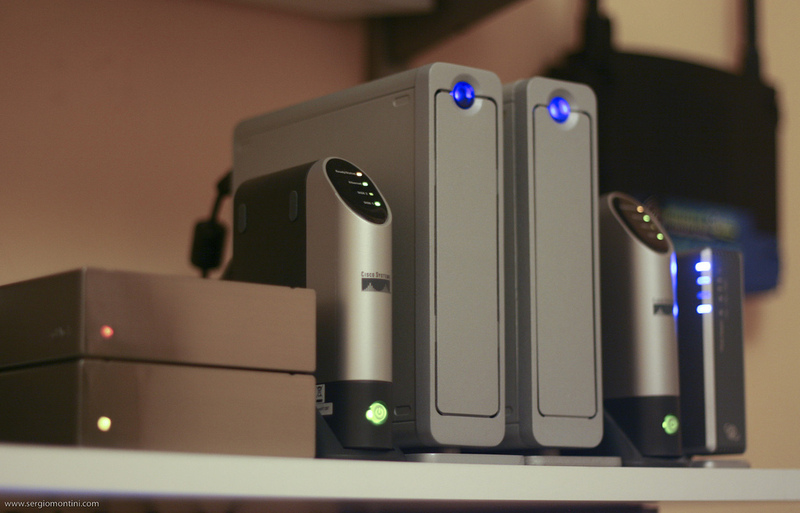 You can either store your backup either on your device or on DropBox. Boost up the power of your iOS camera by adding some strong features (white balance, focus , timer mode etc.) to it. 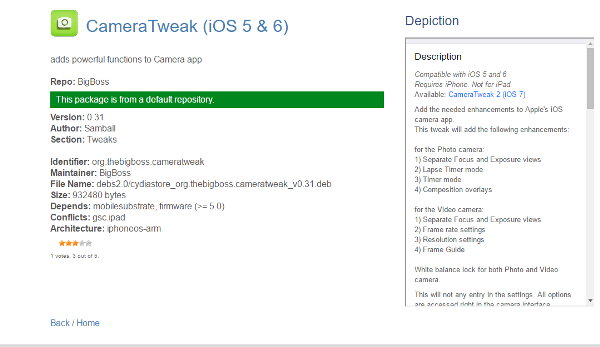 As the name suggests, CameraTweak does exactly same. Download custom ringtones anytime and anywhere or create your own in your own music library with UnlimTones. Because we know creating custom ringtones on iOS is always terrible unlike Android that has many best ringtone creating apps. 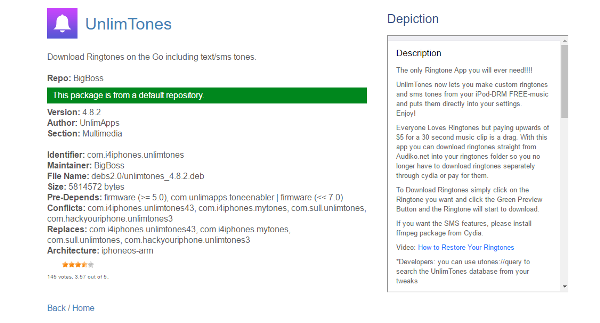 So, enjoy the features of UnlimTones on your iOS device. 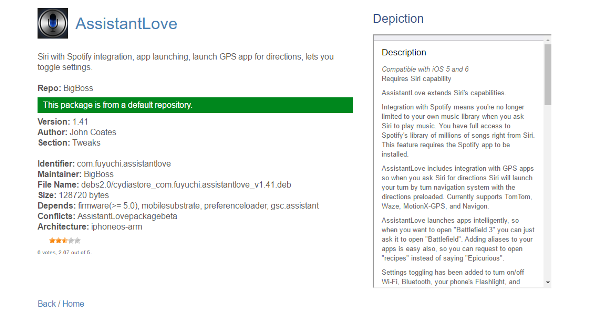 AssistantLove integrates Siri with Spotify, GPS app, app launching and also adds settings toggling. Now, listen songs by speaking up the few lyrics of song to Siri, gets proper navigation system by asking Siri for directions and perform many other functions by downloading this amazing app. Do you own an older jailbroken device? 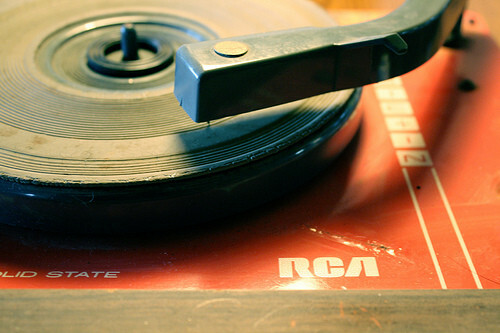 Then you should give a shot to NowNow that works much like Siri. 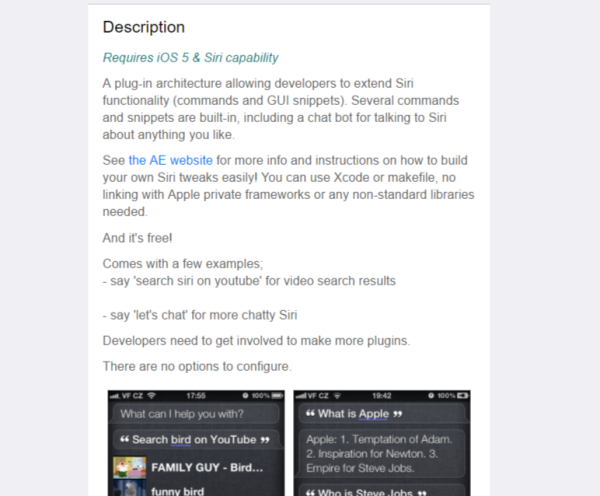 It uses the Google Search app to start search anywhere in iOS by voice. It is more accurate than Siri especially if you use the Siri only for searching the things on Web. AssistantExtensions is a nice Cydia tweak that enhances the functionalities of Siri more than you have ever imagined. 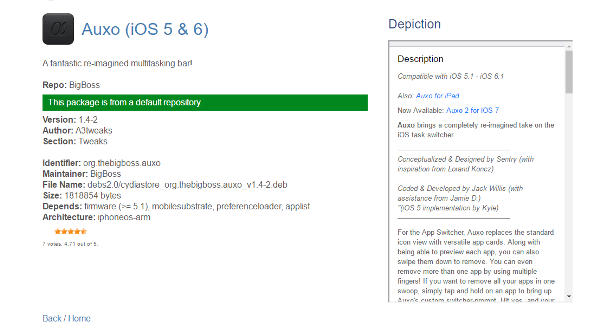 It is currently available for iOS 5 and it’s new version that supports iOS 6 is coming soon. 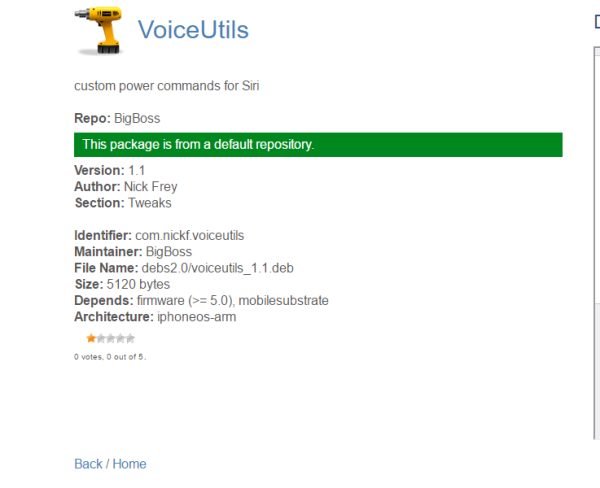 VoiceUtils adds custom commands (restart SpringBoard, restart, power off and many others) to Siri. 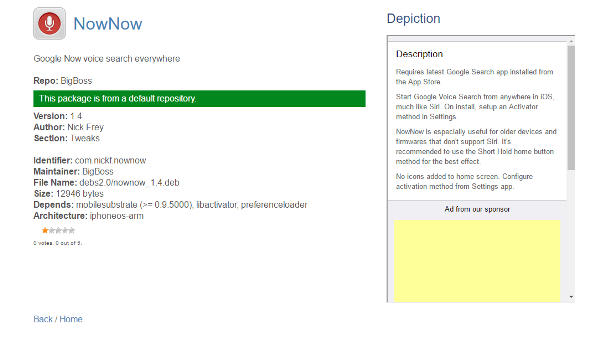 It allows you to quickly launch any app with your voice. 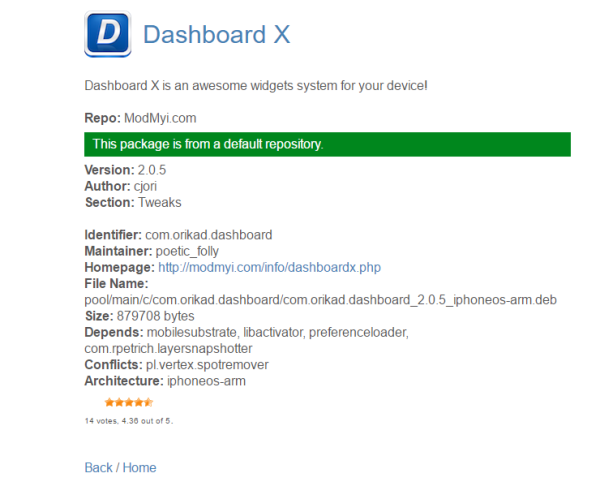 Dashboard X adds highly customizable widgets to the iOS home screen and works with existing notification center widgets. 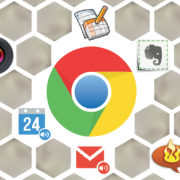 You can also move all these widgets to the home screen or your dashboard. Change the look of your SpringBoard by customizing it with Springtomize 2. 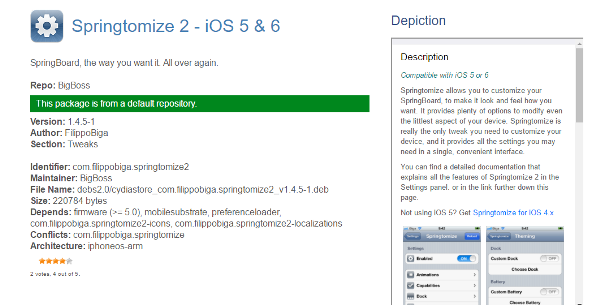 If you are a new jailbreaker, then you can take help of the documentations that explains all the features of Springtomize 2 in settings pane. Infinidock is one of the best dock scrolling and customizing app that allows you to add unlimited number of icons to your dock. Scroll bar let’s you to move back and forth to move around the icons. 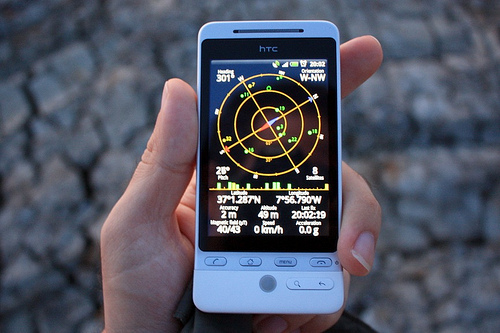 It displays the name of Wi-Fi network in the status bar by replacing it’s carrier name field. Place your icons anywhere on your SpringBoard home screen or make any arrangement which you like.